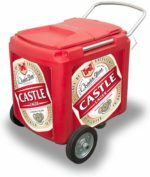 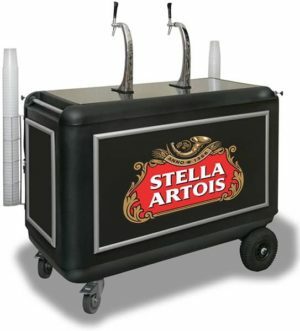 Guaranteed Cold Beverages: You can have cold beverages regardless of the fittings that you use. 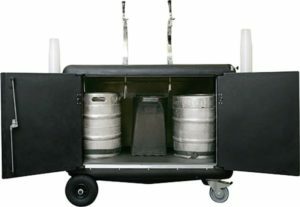 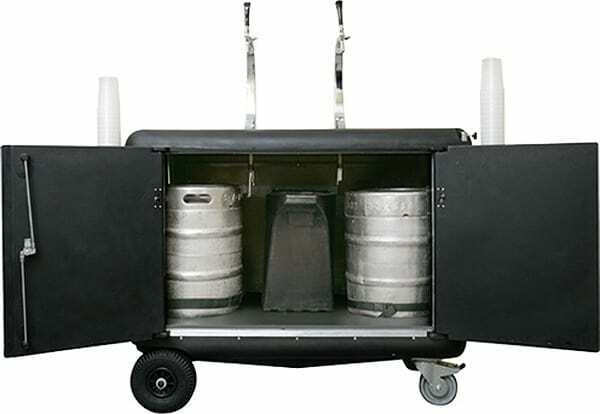 Compact: This is one of the most compact beverage dispensing, mobile trolleys in the world. 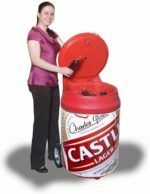 It combines all the required equipment to dispense COLD beverages within minutes. 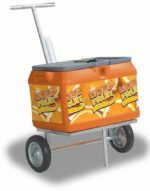 Reliable Gas Source: In the applications using a gas bottle, the bottle doesn’t touch the ice, so the gas doesn’t cool to liquid. 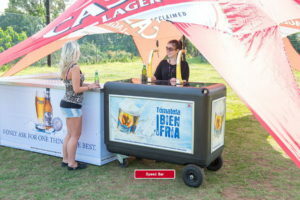 Will complement any of the above serving solutions to create aesthetic uniformity, at your event. 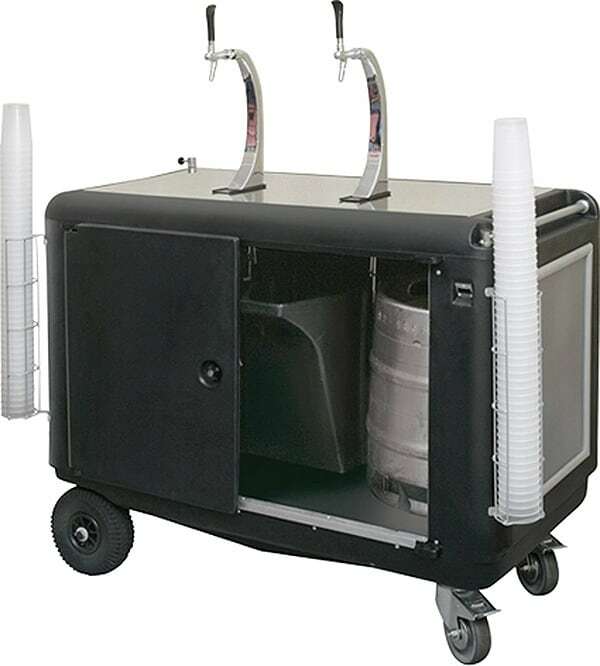 Can be retrofitted to house multiple types of coffee dispensing. 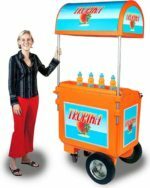 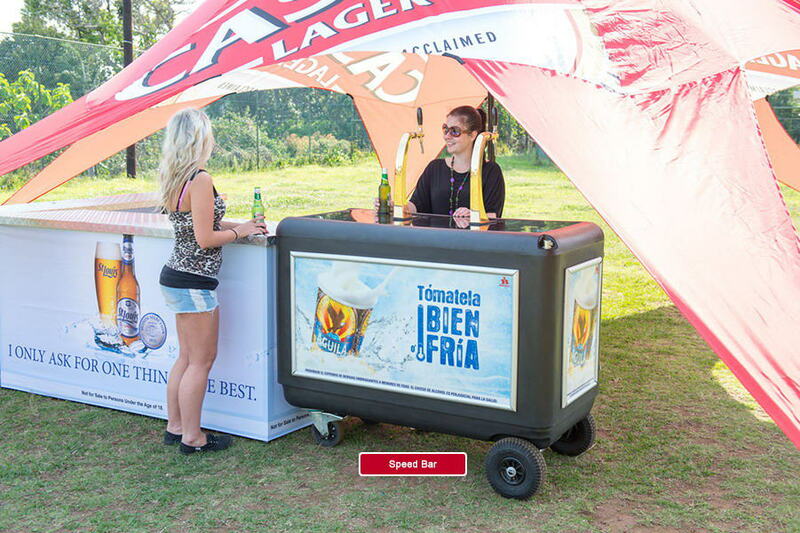 Versatile mobile bar for multiple vending applications.